Derby Road facing Westerfield on 1st April 1977. 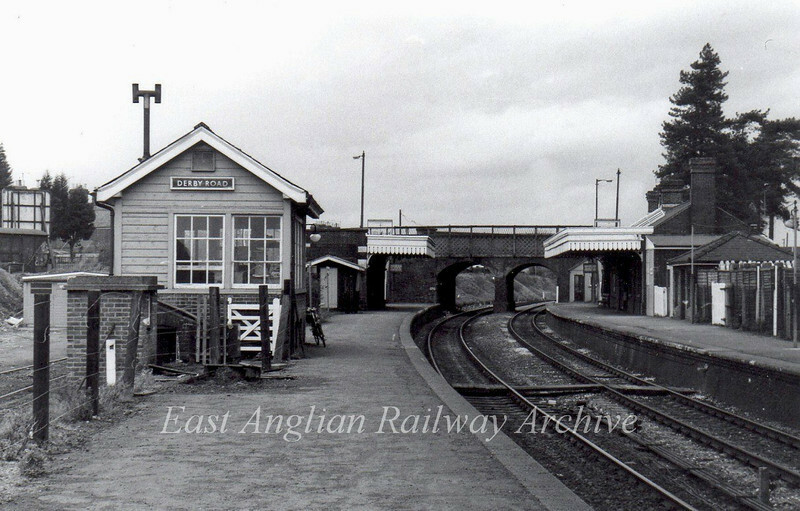 The footbridge in the far background was removed on 16th December 1984. Both platform canopies were taken down in September 1985. In March 1999 the signal box closed with signalling now controlled from Colchester power box.